"An altogether sublime collection. . . she sees in the act of embracing the unknown a gateway to self-transcendence." "This indespensable California writer's most personal book yet, alive as ever to the subtle nuances of the natural world, but newly responsive to the promptings of her own heart and history." 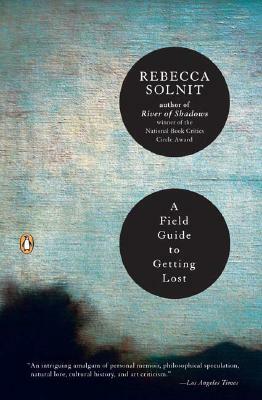 "This meditation on the pleasures and terrors of getting lost is . . . a series of peregrinations, leading the reader to unexpected vistas." "An ode to losing yourself and finding out what's on the other side of familiarity. For Ms. Solnit . . . getting lost is more than a matter of merely physical circumstances. It's a state of mind to be embraced and explored, a gateway to discovering more about yourself in relation to the rest of the world."